A conviction for a criminal offense can have devastating effects on one’s life. This result is further compounded when a defendant feels that they have been wrongfully convicted. If you or a loved feels that you have been wrongfully convicted, you have an opportunity to appeal your conviction. Victor Rotolo is not only an experienced attorney, but he is also a former police officer for the City of Elizabeth. 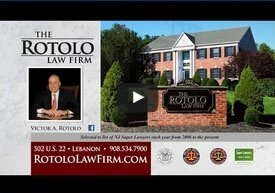 The experience of being both a police officer as well as an attorney has enabled Mr. Rotolo to obtain consistent results for his clients. It also enables Mr. Rotolo to provide a person with a realistic assessment of their chances of success on appeal. Call Rotolo Karch Law today regarding your appeal. 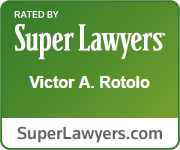 Victor A. Rotolo is certified by the Supreme Court of New Jersey as a Civil Trial Attorney. taken and passed a written examination in civil trial law." 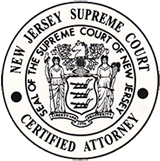 Source: Supreme Court of New Jersey, Board on Attorney Certification, Brochure on Certified Civil Trial Attorney. See Rule 1:39: Specialty Certification of Attorneys.